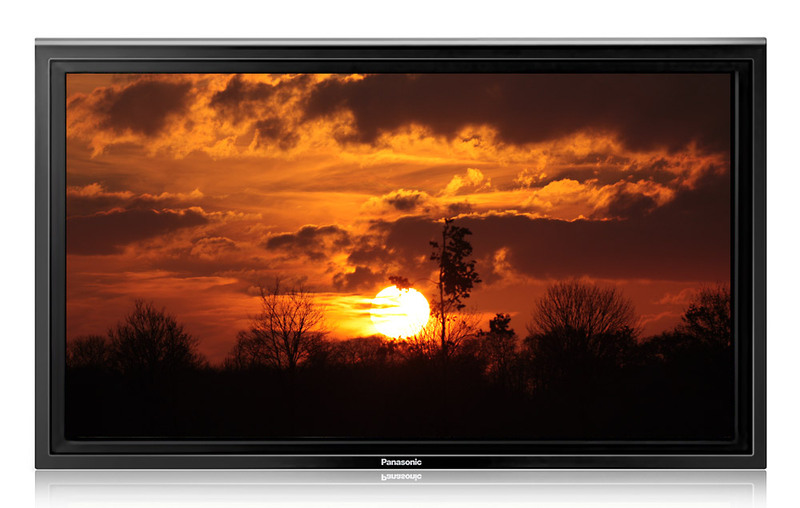 The Panasonic TH-58PF12UK 58 inch display shares the same Panasonic plasma essentials as the 11-Series 1080p model - superior image quality, flexible plug-in architecture, and world-class support - while adding some additional enhancements. By incorporating our NeoPDP Technology, these new displays are brighter with the ability to achieve a brightness of 1,400 cd/m2. For even deeper, richer blacks, our new 12-Series Full HD plasmas achieve a contrast ratio of an incredible 40,000:1. Also new to our 1080p model line is improved video processing that provides crisp, clear motion images displaying 1080 lines of moving picture resolution with the equivalent of 6,144 shades of gradation. The weight of these units has been reduced by approximately 13% over the previous versions. The TH-58PF12UK will continue to come with our TY-42TM6A Component Plug-in Board and TYFB10HMD Dual HDMI Plug-in Board. When it comes to durability, our panels can be counted on and our TH-58PF12UK is no exception, with an incredibly long expected service life of approximately 100,000 hours under normal use and is backed by a 2-year on-site limited parts and labor warranty. As always, our Plasma Concierge service provides a toll-free hotline and 24-hour priority scheduling of on-site service if the display is in need of service or repair. The large size, flexibility, and incredible image quality of our TH-58PF12UK makes it a perfect fit for classrooms, lecture halls, student centers and training facilities. Plus, when used with our optional rolling stand (PANA58CT) our 58" plasma is easy to transport from room to room, making it ideal for mobile classroom applications. Its 58" screen-size is also a great fit for mid-size conference rooms and boardrooms, and other large-screen environments. As an added benefit, using our optional Wireless Presentation Module (TY-FB10WPU) you can transmit presentations from a laptop to the plasma without the need to connect any wires-it's that simple. 58" 1080p High Definition Plasma Display for professional use. Available with various unique professional features-Weekly Command Timer, Dual picture mode, Digital zoom, Built-in video wall image enlarger, etc. Various Energy-saving functions-DPMS, Auto power off, Power save mode, etc.